exactView-9 is a part of the Automatic Identification System satellite constellation operated by exactEarth to monitor ships and their movements through busy shipping lanes and harbor areas around the globe to deliver information on global shipping movements to industry customers. 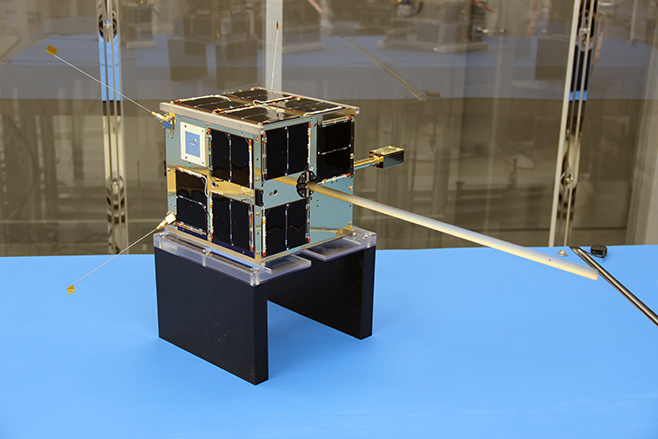 EV9 hosts the next generation AIS receiver coupled with a high-speed data transmission system to be able to downlink a large amount of data during ground station passes. University of Toronto Image: Institute for Aerospace Studies Space Flight Lab. 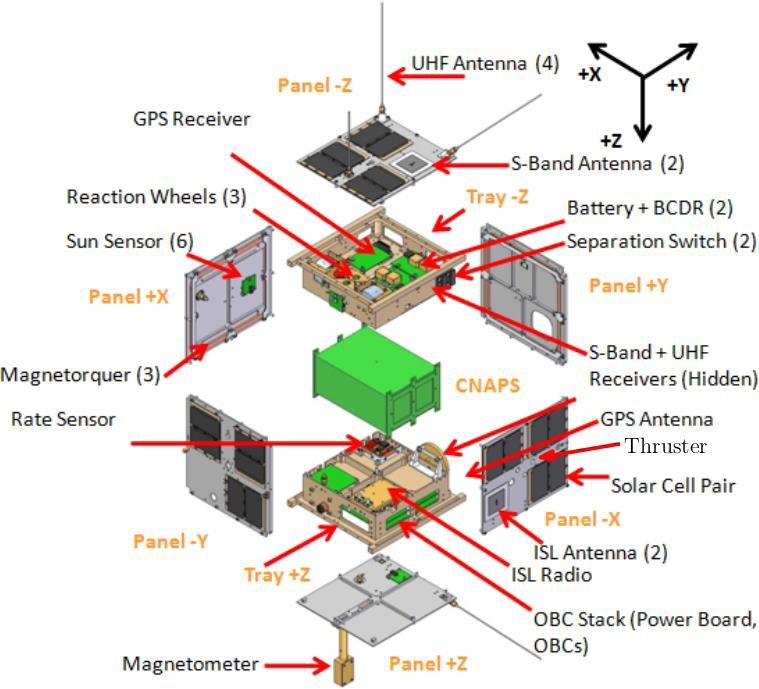 The satellite is based on SFL’s Generic Satellite Bus that provides all the required subsystems for the operation of a variety of payloads leaving about 30% of its total volume open for use by payloads. Using the same platform for several previous missions led to a quick build-up of flight heritage and performance data which is of great value when conducting experimental missions. The satellite bus features a cubical design with a 20-centimeter side length using aluminum exterior panels and two internal trays to host the various satellite subsystems and create a payload bay for simple integration of satellite payloads of different kinds. The S-Band system is used for data downlink to the ground . The system consists of two patch antennas installed on opposite side panels of the satellites connected to the main S-Band Transceiver. The downlink data rate can be selected between 32 and 256kbit/s.